You are standing on Merriam Street on Nicollet Island, facing north. The American Family Fourth of July celebration is going on. 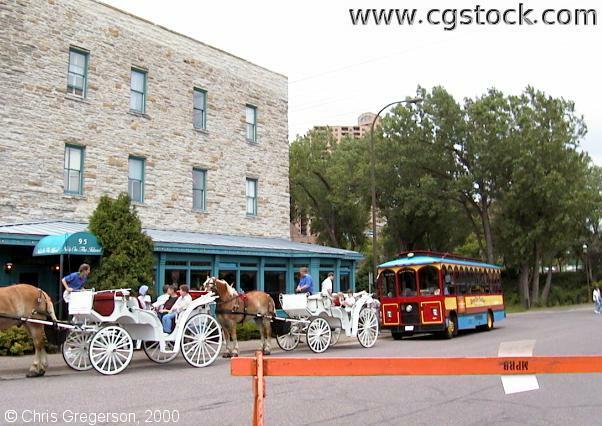 The Nicollet Island Inn is on the left.